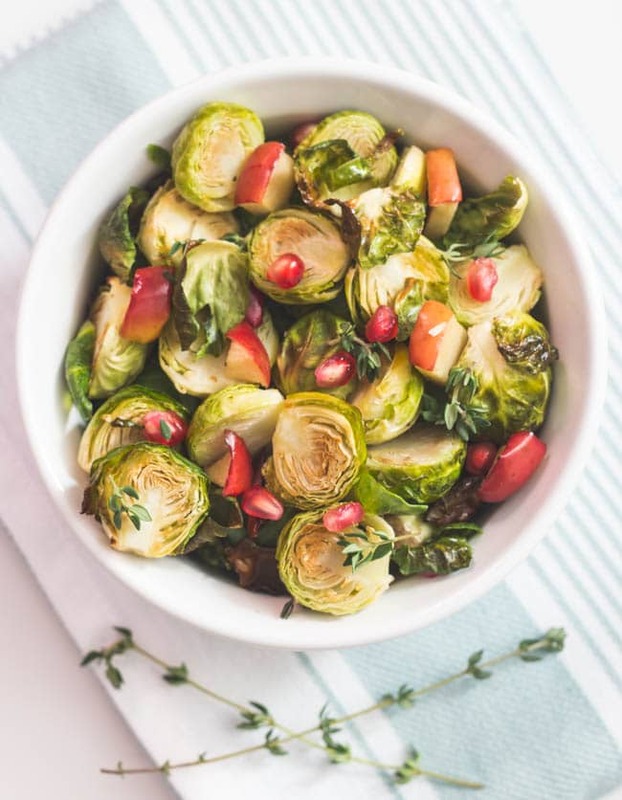 This simple and easy recipe contains the deliciousness of sprouts, apple and thyme tossed with olive oil and fresh apple cider! I topped it with a few pomegranate arils as well to add more colour. 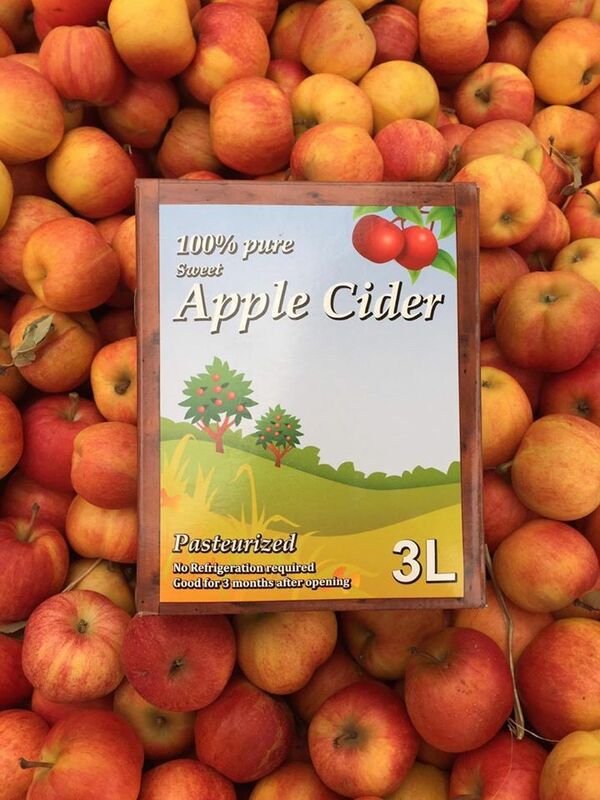 Did you know they contain Vitamin C, fibre and antioxidants? Leave those stray leaves on your baking tray. They cook up quickly and you may have to remove them when you toss them halfway through but they add a great crunch to the dish. I also added peeled garlic cloves to this but it seems I took this picture before I included them. This is totally optional but it’s a wonderful addition for garlic addicts like myself. This dish used the apples from the very first crop of apples from Barrie Hill Farms. 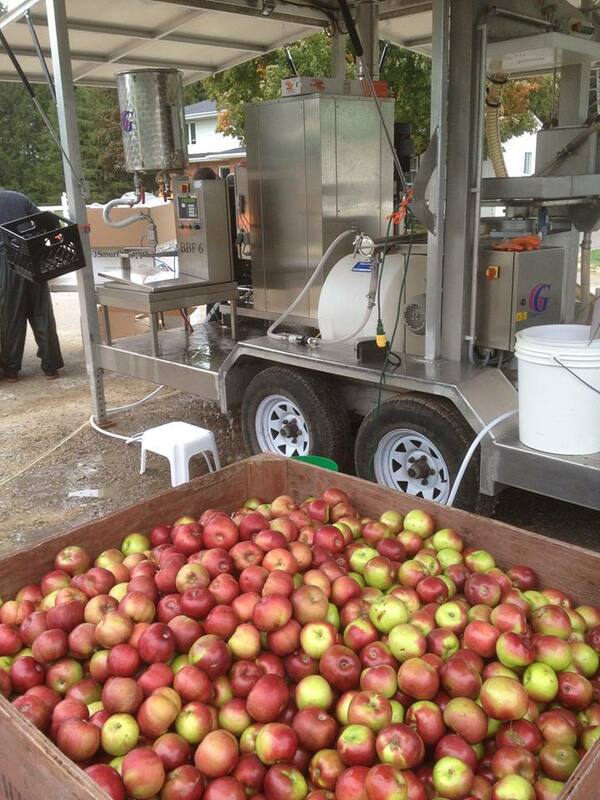 They pressed their own apple cider right at the farm. 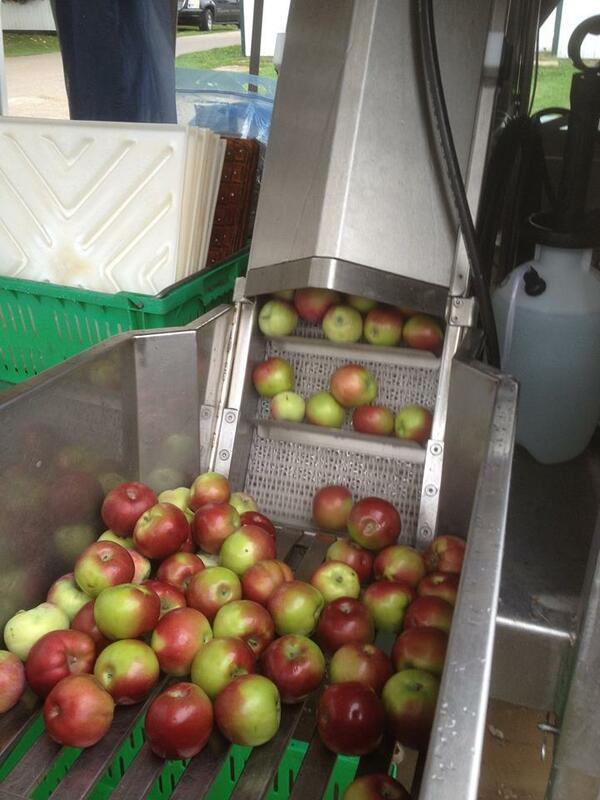 Can’t get any fresher than that! I need one of these machines. Hmmm, I guess I better get myself an apple orchard first. You can see why I get so crazy excited about working with the farm! These Gala and Honey Crisp apples were the best I’ve tasted. The Many Health Benefits to Apples! The result? 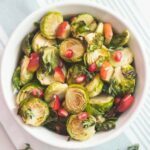 A healthy, vegan dish that is super tasty, colorful and the perfect side dish any day of the week. 1 apple, diced. I used Gala apples. Leave skin on if organic. 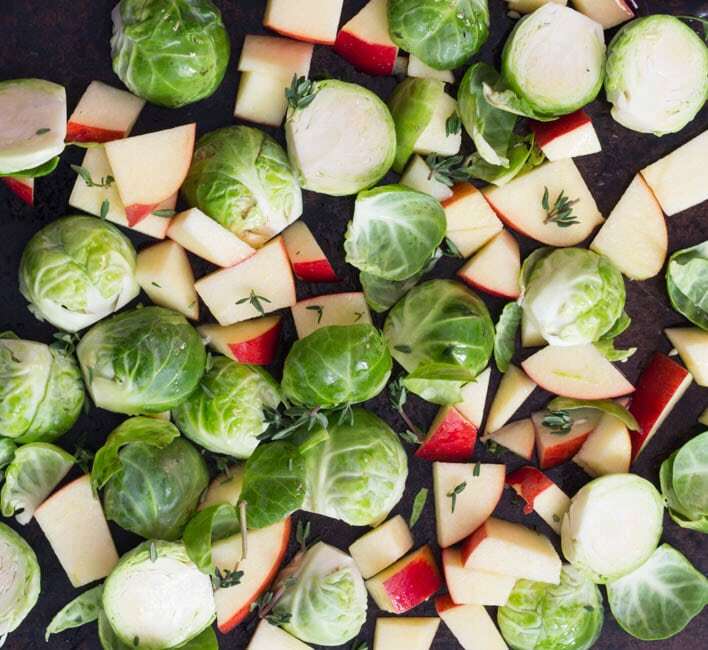 Place apples, sprouts and garlic in medium sized bowl. Combine cider, olive oil and pepper in a small bowl, mixing well. Pour mixture over apple combo and stir gently until well coated. Spread mixture on baking sheet. Roast for 20 minutes and toss. Remove any stray leaves that are getting crunchy. Return to oven for an additional 10 minutes or until sprouts are slightly browned. Remove. Place in serving bowl and top with pomegranate arils if desired and serve.